Last year I returned to University to study Information Science. Unlike fellow student who were either starting out in their career or using the course to change career, sometimes dramatically, I was and still am a Business Analyst. So, why do it? Why take a year out and invest time and money in a higher university degree in the middle of my BA career? And why go to Library School when there are plenty of other option in Systems Engineering or Business Schools? I was frustrated by the failure of so many IT projects I worked on to place as much emphasis on information architecture as they did on deploying technology, often realising less value as a result. Many times I’d seen organisations address information problems with purely technical solutions, delivering software that’s functional but fails to satisfy the business need. Just as buying a fancy new car won’t move you from A to B if it doesn’t have any fuel, IT solutions won’t make a business more effective unless you power it with quality information. Information for many businesses is a ‘Goldilocks problem’. When is there too much information? When is there too little information? How to we get information just right? Information management spills over into other, related, capabilities demanded by many or the project proposals that cross my desk: records management, content management, knowledge management, document management and sharing and data management. Information also emerges several times as an issue or an improvement opportunity in process reviews. In short, I wanted to get better at understanding how I could use information not just technology to satisfy business requirements and stakeholder concerns. Information Science at City (#citylis) seemed a good option due to the university’s emphasis on business and the professions and the department’s emphasis on: linking academic theory and professional practice; relating new technologies and media to a strong historical documentation tradition; and offering many extra-curricular activities with a practical focus on professional experience and skills development. Information Science, taught at City University London since 1967, is designed for those interested in the handling of information resources within specific subject domains, with a focus on technological solutions to information organisation, access, retrieval and preservation. The best thing you can expect from an education is that it doesn’t merely tell, explain, test or train, but it changes your ways of seeing and equips you to better explore and understand the world around you. Information Science is not some niche subject and studying it was not a theoretical exercise; it is the fundamental challenge I face as a BA every day. My year at City has was not only intellectually challenging and conceptually engaging but has also taught me methodology and techniques I draw upon regularly in responding to this challenge.. In this blog series, Information Science and the Business Analyst, I’m going to reflect on the modules I studied and how I’ve applied them to my work as a BA. It will lay down some themes I find myself returning too many times as I continue on this next chapter of my working life. I hope you enjoy. You can follow #citylis via their #citylis news blog or on twitter. Postscript: The feature image for this post was taken on holiday in Italy at the conclusion of my studies. I walked into a room in Mercati e Foro di Traiano (Trajan’s Market) in Rome lined with 128 amphoras. My immediate thought was not how boring but, wow!, ‘What is a Document?‘. 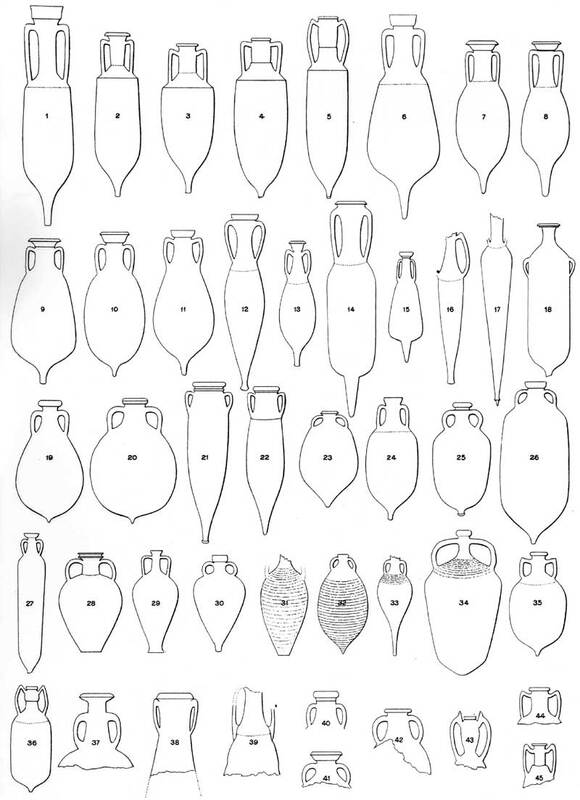 The exhibition covers the work of Heinrich Dressel, a German archaeologist working in Rome who excavated the amphoras on display and realised that the size, shape, seals and inscriptions of amphora provided a structure for classifying them, using a synoptic table published in 1899, and understanding patterns of trade in the ancient world. It provided a great example of the materiality of documents and the documentation movement. It appears that #citylis wont just change your mind it will even change your holiday snaps! Posted on 2016-03-10 2016-06-16 Author Alison PopeCategories Academy, Addylica, Iddilica, Information Science and the Business AnalystTags Amphora, BA, CityLIS, Heinrich Dressel, Information Management, Information Science, Study, University, What is a Document?